An excellent read for any fan of the Fantasy genre. While it is a relatively quick read, The Legend of Damiano's Disk is always written in a way that is relevant and engaging, and almost never becomes tedious or rambling. It has some interesting and unique world building aspects and promises much more to come in future installments. A great start to what is sure to be a great series of books. I loved this one! 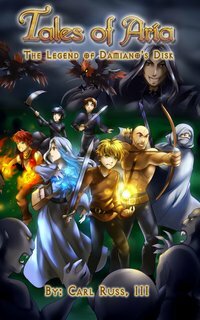 I was transported into a realm so vivid, with magical laws so structured, that I was able to imagine myself as a character within the story, hurling orbs of fire at ferocious creatures, while embarking upon the quest to save the people of Aria. I'll happily read the sequel once it's out! This is a new title. No reviews have been submitted yet.